FreePBX 64bit 12.7.5-1902-3 is a pairing of CentOS 7.5, FreePBX 14, and Asterisk 13 with full Commercial Module support through Schmoozecom and free/premium technical support provided by TheWebMachine Networks. FREE LIVE TECH SUPPORT INCLUDED! 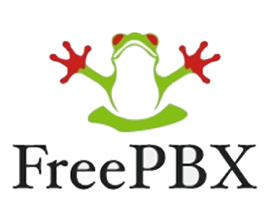 The FreePBX EcoSystem has developed over the past decade to be the most widely deployed Open Source PBX platform in use across the world today. The openness of the project allows Users, Resellers, Enthusiasts and Partners to utilize the FreePBX EcoSystem to build robust communications solutions that are powerful but at the same time easy to implement and support. AWS FreePBX 64bit 12.7.5-1902-3 is a pairing of CentOS 7.5, FreePBX 14, and Asterisk 13 with full Commercial Module support through Sangoma. IMPORTANT NOTE: If you want to deploy PBX v10.13.66 (Cent OS 6.6, FPBX 13, Ast 13), choose the preceding AMI version 2.9.